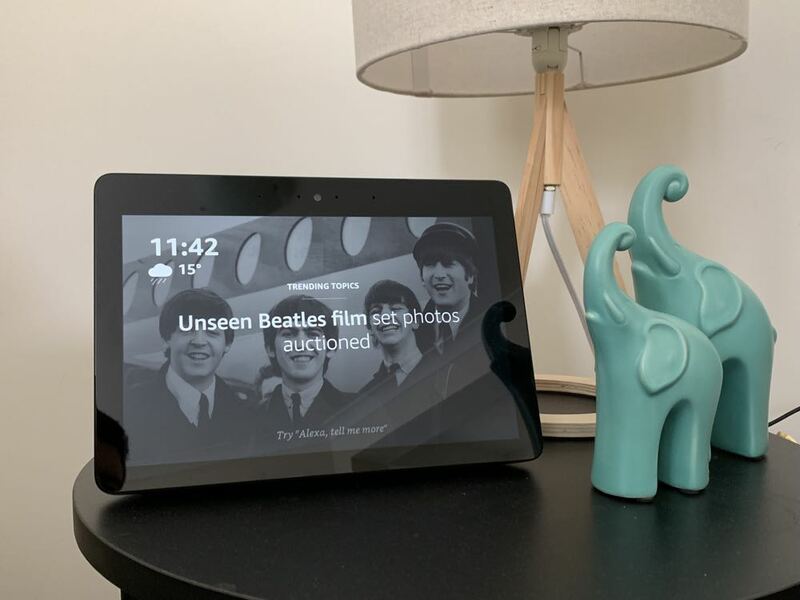 The Echo Show is an excellent example of a smart product that can provide a respectable audio and visual experience at the same time. And the good news is, it's only going to get smarter. 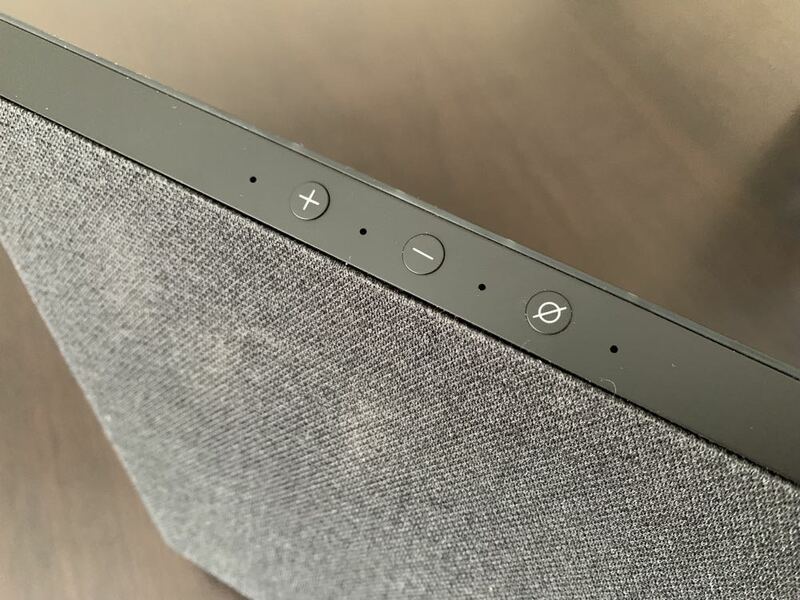 What do you get when you combine a tablet with a smart speaker? Answer: Echo Show – the latest Amazon device which can both show AND tell thanks its 10.1-inch display. 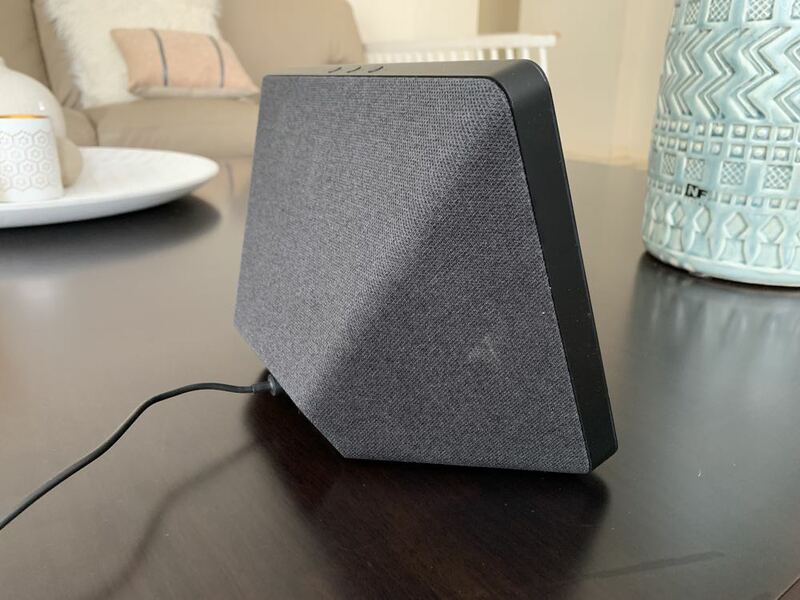 This device combines the usual audio elements of an Echo product and complements that with a vibrant screen so users can see and hear their information. Design-wise, the Echo Show only presents the display to the user but tucked in the back is an impressive speaker as well which makes this product looks good and sound good as well. The screen has a resolution of 1280 x 800 which just makes it into the HD range. But it is still quite clear and sharp – we actually thought it was a full HD display. Along the top edge of the product are the volume buttons and the button that can turn off the microphone and the camera. The dual 2-inch 10W neodymium drivers with passive base radiator are located on the back of the device and provide room filling sound. The audio quality is impressive. Music sounded loud and clear with only a slight distortion at full volume. The spoken responses were also easy to hear even from a distance. Users can stream their music from Amazon Music, Spotify, TuneIn Radio and their audiobooks from Audible. Amazon Music can also display the lyrics of your chosen song so you can turn it into a karaoke experience. In terms of sound quality, there are better speakers out there but there are a lot more that are worse. 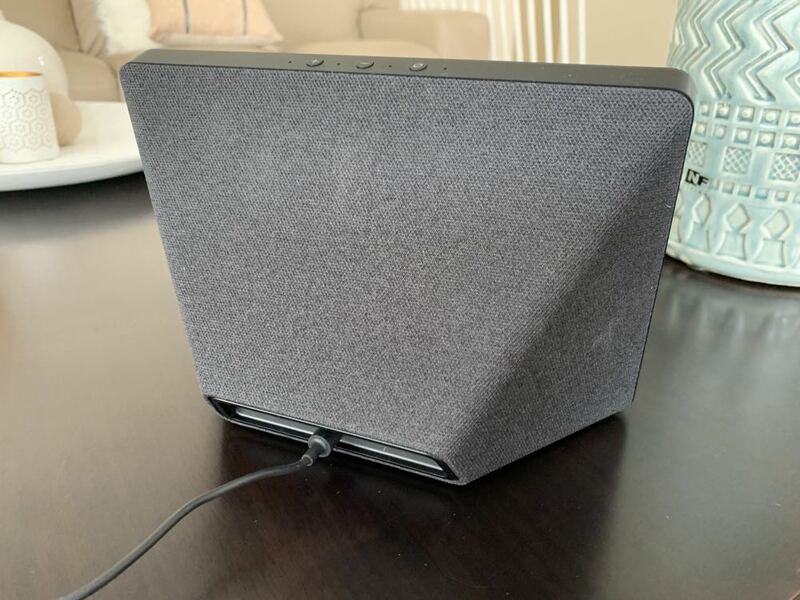 We found the audio was noticeably better when the Echo Show was placed in a corner so the side firing speakers could bounce the sound off the walls and give it more authority. The Echo Show is a lot more than just a speaker. It can provide plenty of information and entertainment on the screen as well. So when you ask about the weather, Alexa will not only tell you but show you as well. There are numerous other possibilities including being guided hands free through a recipe in the kitchen, seeing the latest news items and displaying your photos. Having that screen means you can also enjoy content from Prime Video. Just ask for the show you want to watch and Echo Show will play the episode you’re up to. We tried to access YouTube but could only get at it through a browser on the device. That might have something to do with the fact that Google owns YouTube. 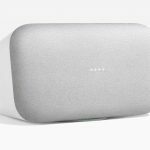 Naturally, accessing YouTube on Google’s upcoming competitor product the Google Home Hub is a bit easier. But you can still enjoy a host of other videos included the latest trailers as well as news headlines which are shown on the display like a screensaver. 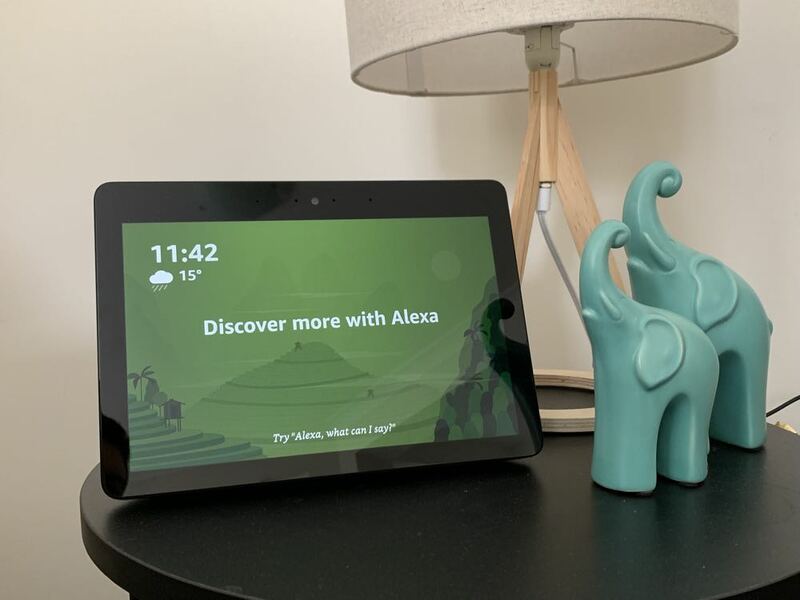 If something catches your eye, you can ask Alexa to expand on it and she will read the whole report to you. 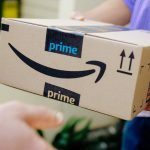 Amazon has also curated a number of news sources and you get enjoy your own news briefing with the biggest stories first thing in the morning. But on the smart side the Echo Show really comes into its own. 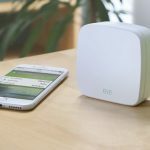 Users can control the smart connected devices in their home really easily. 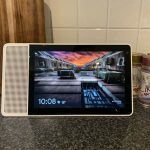 There’s a built in Zigbee home hub onboard which can recognise other devices on your network and include them to be under your control with the Echo Show. A great example of this is the Ring Doorbell and its ecosystem of cameras which you can access through the screen. 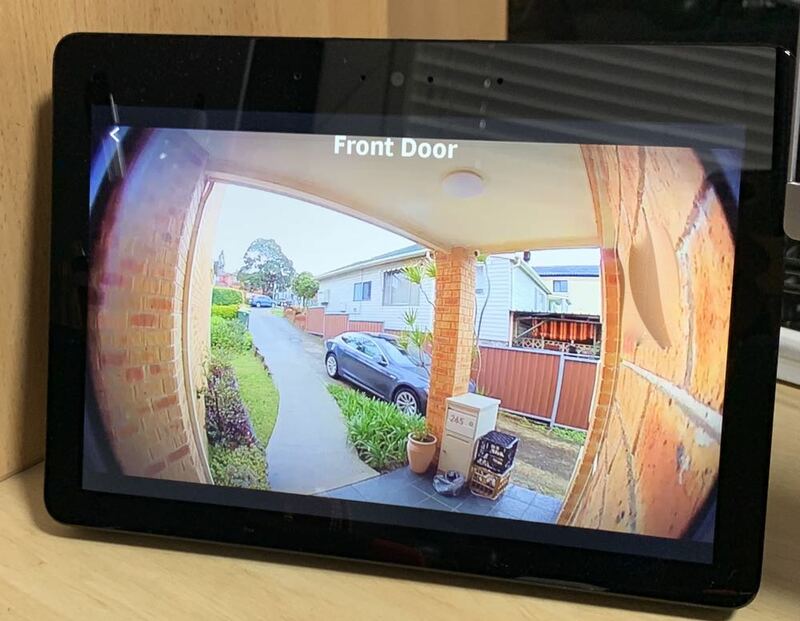 For example, you might say “Alexa, show me the front door” and the live view from the Ring Doorbell is displayed on the screen. You can also ask for views out of the other Ring cameras. Users will also have the same experience with Arlo cameras, Nest cameras, Philips Hue lights, Control4 controllers and many, many more. 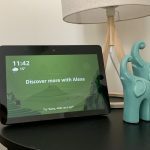 You can also ask Alexa to set an alarm, add an item to your shopping list, order and re-order products from Amazon, check out your calendar, set a timer and so much more. You can ask about your commute, ask for a bedtime story, ask for a joke, see what’s on TV tonight and flip a coin if you need to make a decision. The beauty of Echo Show is there are always things that will surprise and delight you. There is also a 5-megapixel camera on board located just above the screen. This can be used for Echo to Echo video calling so it is easy to “drop in” on a friend or family member (with their pre-approval first). Whoever is on the receiving end receives notification that a video call is incoming and they can choose to accept or reject it. Or you can opt for just a voice chat. 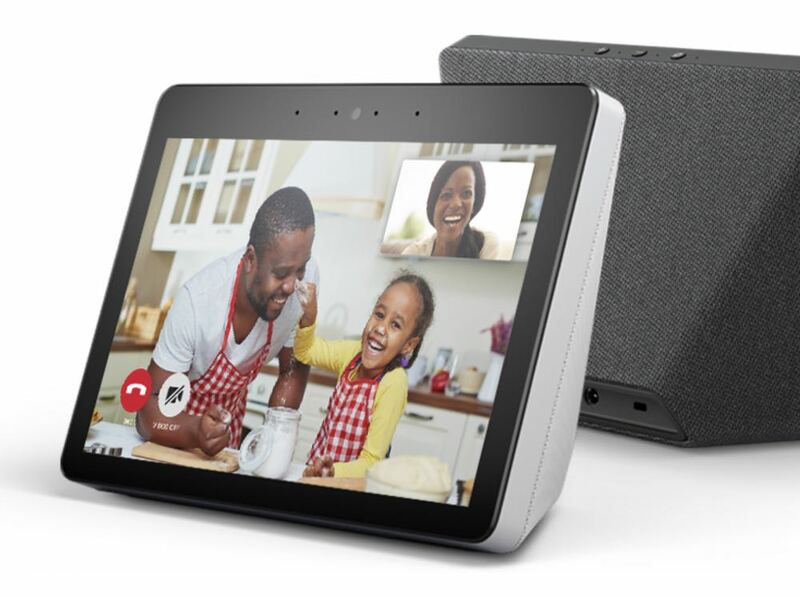 These video calls also work between Echo Show and Echo Spot which has its own small circular display. Amazon says the Echo Show will soon support Skype calling later this year as well which opens up the connection to even more users. You can even ask Alexa to take your photo. 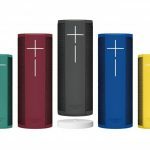 There are a lot of choices for smart speakers available to customers and each have their own little ecosystem and partners. Different speakers support different services so it’s important to see which meet your needs before making a commitment. 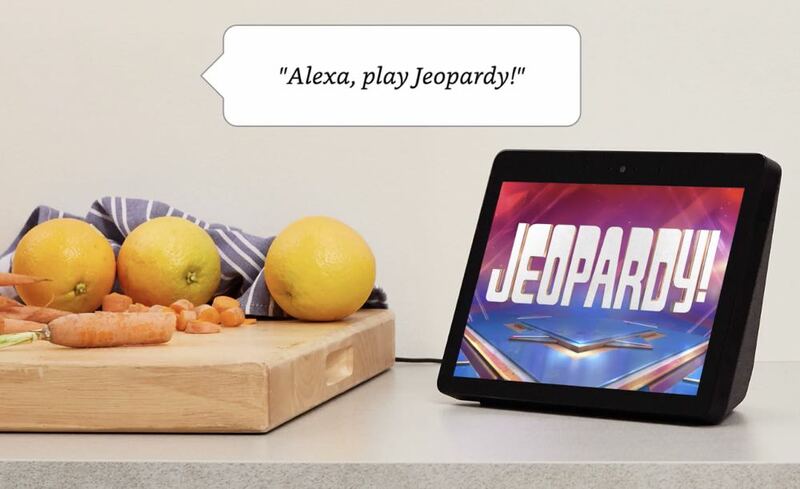 On the Amazon side, there are lots of partnerships and options that are not readily available if you were to buy an Apple HomePod or a Google Home. One thing in Amazon’s favour with the Echo products is the growing number of skills being developed with other major companies to enable plenty of options and smart control. The Echo Show is an excellent example of a smart product that can provide a respectable audio and visual experience at the same time. And the good news is, it’s only going to get smarter.